There is an ever increasing tendency to imagine ourselves living somehow &apos;beyond history&apos;, to bask in what Francis Fukuyama termed &apos;the end of history&apos;. In this lecture, Sir Adam Roberts presents a compelling case for the reintroduction of history to the centre of international relations, drawing on examples from contemporary world conflicts. This is the 2011 Gresham Special Lecture. Professor Sir Adam Roberts, KCMG, FBA, is President of the British Academy, which is the UK&apos;s national academy for the humanities and social sciences. He is also Senior Research Fellow, Department of Politics and International Relations, Oxford University, and Emeritus Fellow of Balliol College, Oxford. 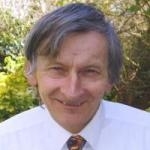 From 1986 to 2007 he was Montague Burton Professor of International Relations at Oxford. He was born in Penrith, England, on 29 August 1940. His first degree was at Oxford University in Modern History. He is married with two grown-up children, and lives in Oxford. His interests include rock-climbing and general mountaineering; also cycling. His main teaching and research interests are in the fields of international security, international organizations, and international law (including the laws of war). He has also worked extensively on the role of civil resistance against dictatorial regimes and foreign rule, and on the history of thought about international relations. Member, UK Defence Academy Advisory Board (DAAB), 2003– . Member of the Council, International Institute for Strategic Studies, London, 2002–8. Honorary Fellow of the London School of Economics and of St Antony’s College, Oxford. It is a huge privilege and pleasure to be giving this lecture here in the Guildhall, parts of which date back to 1411, with its pre-history dating back considerably further; and which has witnessed so much international history. It has not just witnessed it passively, as in the blitz in December 1940, but also by hosting impressive international events. It seems that they [i.e. Gog and Magog] represent none too badly the present state of world politics. World politics, like the history of Gog and Magog, are very confused and much disputed. Still, I think there is room for both Gog and Magog. On the one side is Gog, and on the other is Magog. But be careful, my Lord Mayor, when you put them back, to keep them from colliding with each other; for, if that happens, both Gog and Magog would be smashed to atoms and we should all have to begin all over again – and begin from the bottom of the pit. In the Cold War, the two sides managed to avoid colliding with each other, at least directly. Then, 37 years after Churchill’s speech, Guildhall was participant and witness of the end of the Cold War. Two particular events stick in my mind: I was present at both of them. On 3 June 1988 President Ronald Reagan, hot from a visit to Moscow (and a lecture at Moscow State University) gave a speech here on Soviet-US relations in his most convincing folksy style. This was the Reagan who had earlier said that ‘the march of freedom and democracy . . . will leave Marxism-Leninism on the ash-heap of history as it has left other tyrannies which stifle the freedom and muzzle the self-expression of the people.’ I will be critical of the idea of history as an ash-heap, but Reagan’s use of it had mitigating features. The special strength of Reagan, that this event in 1988 both marked and celebrated, was that despite his fierce anti-communist rhetoric he extended a helping hand to Mikhail Gorbachev, making it much easier for him to handle the decline and fall of the Soviet empire that came in the next three years. On 7 April 1989 President Mikhail Gorbachev gave an address here, with a response by Prime Minister Thatcher. He too spoke on East-West relations – and did so in an even more constructive tone than the British government had expected. It was a foretaste of the extraordinary events that were to come in the last half of 1989. Again, we had a sense of history in the making. The end of the Cold War, which those two meetings so vividly marked, led to a revival of the proposition that we had somehow reached the end of history. It was in that same summer of 1989 that Francis Fukuyama, then in Policy Planning in the US State Department, argued that history was at an end. It was as if the weather forecaster had announced: ‘There will be no weather tomorrow.’ He has subsequently had a lot of explaining to do about all that has happened since it ended, which looks very like history. To be fair, he defined history in a very special way, as a clash between fundamentally different ideas as to how human society should be ordered. However, there is plenty evidence of such ‘different ideas’ in the contemporary world. The long history of the idea that we are in a new era to which history is largely irrelevant. Some examples of episodes in the past hundred years in which some part was played by decision-makers apparently ignoring relevant aspects of international history. In conclusion, I will try to summarise the costs of thinking, and deciding, about international issues in an essentially ahistorical manner; and to offer a few prescriptions..
My own credentials to speak for international history are distinctly modest. I did my degree at Oxford in Modern History (which counts as a branch of Humanities) and then spent most of my career teaching International Relations (which counts as a branch of Social Sciences). Some might think that I could benefit from the best-entitled academic course in my field that I’ve come across. It was at the University of Virginia at Charlottesville, and was entitled ‘Remedial History for International Relations Specialists’. As a former student of the historian A.J.P. Taylor, I am a firm believer in his dictum that it is hard enough to know what happened in the past, let alone the future. He also said many times that great events can have very small causes. And I have sympathy with his definition of history as ‘the subject in which one thing happens after another’. I have slightly more doubt about his other dictum to the effect that ‘the only thing that we can learn from history is that people never learn from history’. When I suggest that historical knowledge is crucial to understanding the present, I feel him looking disapprovingly over my shoulder. Let me be clear from the start about what I am claiming, and not claiming, for international history. I am certainly not claiming that the study of international history gives us a definite capacity to predict the future. The future is unavoidably a mixture of the knowable (e.g. tides and railway timetables), the probable (e.g. that a particular volcano will erupt some time in the next hundred years), and the unknowable. Nor am I claiming that historians necessarily make good policy-makers. Sometimes they do – and sometimes they don’t. The pressures of making policy, in real time, with real lives at stake, are very different from the pressures of the academic world. Nor indeed am I claiming that we are the slaves of history, that nothing ever changes, and that progress is an illusion. Clearly there is change, and even progress, but in order to take its measure you need to be able to distinguish what is really new from what merely appears to be new: in other words, you need a lively historical awareness. What I am claiming is that, in policy making, the neglect of history, especially international history, has seriously adverse effects. If we neglect history we imprison ourselves in a temporal ghetto. Further, I am claiming that one of the most important tasks of the policy-maker, diplomat, and businessman is to understand the very different mind-sets and cultures of those with whom we must deal – not just potential adversaries, but also allies. Or, putting the same proposition slightly differently, the task is to understand the complex historical causes of the conflicts we see in the world today, which are very different from the classical clash between the Gogs and Magogs of the Cold War. Think of the number of sayings and phrases that state, or subtly imply, that we are beyond history, which is a mere garbage can of superseded practices and ideas. Actually the idea that history is simply a regrettable husk, which our generation must shed, has itself a very long if not always distinguished history. I will mention three people from different countries and centuries who contributed to this idea through brilliantly memorable phrases. One can trace the idea that history is a mere husk back at least as far as the Enlightenment thinkers of the eighteenth century. Jean-Jacques Rousseau’s most famous work of political theory, Of the Social Contract, published in 1762, famously opened with the words ‘Man is born free, and everywhere he is in chains.’ Although he never suggested that there can be a return to the presumed simplicities of an earlier era, what people naturally took from Rousseau’s statement is the persuasive, even seductive, message that we need only discard the chains inherited from history, and all will be well. I am sure that the neocon advisers of President George W. Bush would have hated to be pigeon-holed in a category of ‘Rousseauian romantics’, but that is where they belong. Incidentally, the saying ‘Exercise in bunk’ is also attributed to him. He was wrong on that count too. But his statement on history is deeply significant as part of an especially strong tradition in the United States of viewing history as something which it is mankind’s destiny to outgrow. This tradition – dare I call it this history? – helps to explain much in US foreign policy: much that is admirable; but also much that is problematic, and has involved heavy costs. What do I mean by cost? I won’t produce relevant figures here, but I will seek to identify particular policies which have been weakened by an ahistorical approach. How horrible, fantastic, incredible it is that we should be digging trenches and trying on gas-masks here because of a quarrel in a far-away country between people of whom we know nothing. The ‘far-away country’ was Czechoslovakia, with which England had been linked since Hus and Wycliffe in the 14th century. Throughout the intervening period, the borders of Bohemia and Moravia, which were based on mountain ranges, had not altered significantly. Thumbing through an historical atlas would have shown the dubious character of Germany’s claims to these territories. Chamberlain’s education was completed at Mason College, Birmingham [a small nucleus of what would later become Birmingham University]... There he studied science, metallurgy, and engineering. … On leaving Mason College he was apprenticed to a firm of chartered accountants, being so successful there that he was offered a permanency. The costs arising from knowing nothing of these people ‘in a far-away country’, and from the policy of appeasement more generally, can be endlessly debated. Even if you take the most charitable possible view of Munich – as a rational postponement of the inevitable war giving Britain time to rearm – the shocking rhetoric and the sense of betrayal surrounding the agreement did Britain lasting harm. Moreover, Hitler’s appetite appeared to increase with the eating of small morsels in 1938, contributing to the very outbreak of world war that it was supposed to prevent. The tragedy of Munich had been in part the product of reliance on a highly selective and simplistic set of purported ‘lessons of history’ – specifically that war must be avoided at all costs. By a strange historical irony it then gave rise to an equal and opposite lesson – what came to be called the Munich analogy. This is the belief that international challenges faced in a different time and place are comparable to Munich, especially if they involve a dictator using, or threatening to use, force. The only answer in such cases is to respond robustly with force. It is an interpretation of history that has been particularly influential in US policy-making. Eden at Suez in 1956, and the Americans in Vietnam in the 1960s and 1970s, were among the many who have believed profoundly in the Munich analogy. In both cases the policy pursued on the basis of the analogy led straight to disastrous failure. A particular weakness of the policies of interveners in these cases was the lack of historical understanding of the target country. In Vietnam, for example, communism and nationalism had become more closely intertwined than in other countries in South-East Asia, while the anti-communist variants of Vietnamese nationalism had been weak and corrupt. To this day, the US has no agreed understanding on what went wrong in Vietnam, but the application of a simplistic analogy should certainly be part of the story. Out of these troubled times, our fifth objective – a new world order – can emerge; a new era – freer from the threat of terror, stronger in the pursuit of justice, and more secure in the quest for peace, an era in which the nations of the world, East and West, North and South, can prosper and live in harmony. A hundred generations have searched for this elusive path to peace, while a thousand wars raged across the span of human endeavour. Today, that new world is struggling to be born, a world quite different from the one we have known, a world where the rule of law supplants the rule of the jungle, a world in which nations recognize the shared responsibility for freedom and justice, a world where the strong respect the rights of the weak. This is an attractive vision of liberation from history, but it leads quickly to a hangover of disappointed hopes. One of the problems of this vision is that it encompasses no explanation whatever of why so many parts of the post-colonial world are in turmoil. The reasons are actually quite old-fashioned. When empires collapse – be it the European colonial empires, or the Soviet and Yugoslav ones – it is inherently difficult to establish new and legitimate political orders, borders, and regional arrangements. Grand ahistorical rhetoric about ‘new world order’ does not prepare us for the complexities of the world we face. Little wonder, then, that there is today a tendency to blame all troubles on a few individuals. Since 11 September 2001, statements by the principal Western leaders on the subject of the ‘war on terror’ have contained few references to the previous experience of governments in tackling terrorist threats, or to the ways in which certain international wars of the twentieth century – including the First World War – were sparked off by concerns about terrorism. General Bernard Montgomery’s first rule of warfare was ‘Don’t march on Moscow’. Regarding terrorism and counter-terrorism there is no such straightforward rule. The history of these matters repays study, not because it offers a single recipe for action, but rather because it enriches our understanding of a peculiarly complex subject. It indicates a range of possibilities for addressing it, and a number of hazards to avoid. It remains odd that since 2001 much writing on terror, particularly in the USA, has tended to neglect the long history of terrorism and counter-terrorism. This is true even of historians and historically informed writers: some, such as John Gaddis and Walter Mead, have written books about the war on terror that contain much important insight into US history and the US role in the world, but say almost nothing about the history of terror and counter-terror. The most worrying result of the failure to consider terrorism historically has been the weakness of much analysis of the ways in which terrorist campaigns actually end. This omission has been rectified in a book by my friend and colleague Audrey Kurth Cronin, How Terrorism Ends. A staff member of the US Army War College at the time when she completed it, she points to the great variety of endings; and while in no way opposed on principle to the use of force, she sees force as constituting just one factor in a larger struggle which is a battle for legitimacy between governments on the one hand and insurgent movements on the other. She is rightly suspicious of the view that the terrorism of today is so different from its predecessors of the 19th and 20th centuries that we can ignore that earlier history – including the history of mistakes made in counter-terrorist campaigns. Both of the major US-led military interventions of the past decade have taken place in societies that have been historically very difficult for outsiders to control. The attempt to modernise Afghanistan through outside military involvement has been particularly problematic. There were very strong grounds for supporting the US-led military action in Afghanistan in 2001, as the US in my view had to do something to stop Afghanistan being a playground for al-Qaeda. However, the long and painful haul since has served as a forcible reminder that it is not easy to escape from history. The many states involved in Afghanistan, armed with the best of liberal intentions, have underestimated the strength of the traditional Afghan hostility to armed military intervention by foreigners. Rodric Braithwaite has given us a salutary reminder of the problems the Soviet Union encountered in the attempt to modernise Afghanistan – an experience not so different from that of Western states since 2002. And the US and UK made their problems in Afghanistan worse in 2003 by diverting their attention to Iraq. The invasion of Iraq in 2003 is a classic case of a decision insufficiently informed by a sense of history. In the preceding months, in their many public statements, the leaders of the countries involved in the enterprise made almost no reference to the difficult, and highly relevant, history of the region. This appears to be true also of their inner deliberations, as revealed by Bob Woodward, Seymour Hersh and others. In particular, Woodward’s Plan of Attack shows that, in the two years of decision-making leading up to the invasion of Iraq, there was little reference to historical precedents. An honourable exception occurred when Secretary of State Colin Powell, at a planning meeting on Iraq, asked sarcastically: ‘Are we going to be off-loading at Gallipoli?’ The failure to plan for the occupation of Iraq in 2003 is the locus classicus of the neglect of history. Gertrude Bell’s experience in Iraq from 1917 to 1926, hardly mentioned in any of the debates about Iraq, had demonstrated just how difficult it was for outsiders to set up an administration in that country. It would be easy to say that the UK is different. We don’t neglect international history so much; we aren’t forever reinventing the wheel. We currently have a foreign secretary who has not merely a lively awareness of international history, but a strong record in it. William Hague’s biography of Pitt the Younger is an interesting study of how war, politics and diplomacy interact. And his biography of William Wilberforce gives a vivid account of how slavery was ‘voted into history’ – one of the few references to history as a garbage can to which I have no objection. Yet there are still problems. Since 1997 the FCO has had publicly-stated priorities or objectives. They itemize unexceptionable purposes, such as using ‘our global diplomatic network to protect and promote UK interests worldwide’, but ever since 1997 they have failed to mention the elementary priority of understanding of foreign countries, including their histories and languages. To this day, the statement of priorities on the FCO website omits to mention this priority. Robin Cook’s ‘ethical dimension’ in foreign policy, which was announced with much fanfare on 12 May 1997, involved a similar problem. I am all for having an ethical dimension, but as it was explained it seemed to carry the nasty little implication that there had never been an ethical dimension in foreign policy before – something that any biographer of William Wilberforce, or indeed of William Gladstone, would be entitled to question. Particularly in the nineteenth century there had been much emphasis on humanitarian purposes and motives. Similarly, there was a more or less explicit rejection of the continuing relevance of history in Tony Blair’s claims that ‘we live in a completely new world’, and that the Kosovo intervention in 1999, because it was a disinterested intervention to save lives, represented something entirely new. Even if one supported the Kosovo action, as I did, some of the rhetoric surrounding it was worrying. What have been the accompaniments of the ahistorical approach in the UK? (1) There has been a downplaying of emphasis on learning languages, at every level from school to the training of ambassadors. (2) At times, sadly, ministers have echoed the US in implying that key provisions in long-standing legal agreements such as the 1949 Geneva Conventions are ‘quaint’, or that in some general and unspecified way the ‘rules of the game’ have changed. (3) The long-standing and valuable custom of ambassadors writing a valedictory dispatch on leaving their posts was summarily and shockingly abolished in 2006, in circumstances that I have outlined elsewhere. These three developments have hampered us in our understanding of both allies and adversaries. Countries incur serious costs when they down-play the historical dimensions of the problems that they have to address. Put in the simplest possible terms, in most areas of foreign and security policy such an approach can lead to unwise policies, to poor execution of policies, to the avoidable loss of lives, and to a more general loss of authority and legitimacy. So why has this tendency to down-play or neglect international history happened? It is for two good reasons. Firstly, for the United States, it is integral to the whole concept of the US that this is a world of kings, tyrants and wars which brave men and women chose to forsake when they fled from conflict and persecution to seek a haven in the New World. Secondly, and in a wider range of countries, the process of globalization, the advance of the English language, and the awareness that many of the severest problems that face us are both new and global, have all contributed to a belief that we are entering a new world in which our various separate histories are of limited relevance. However, there may also be some less good reasons: we are all heirs to the sins of laziness and chauvinism. And what is the wheel that we have to reinvent? Put at its simplest, it is the importance of understanding other countries and cultures; of respecting those who have a different mental framework from our own; and of recognising that rapid pro-Western change in many non-Western societies leads to an anti-Western, nationalist reaction. In the UK, we need to revise the FCO’s statement of priorities, and to formally reinstate the valedictory dispatch. Beyond these few observations and prescriptions, history does not offer simple ‘lessons’, but it does provide a way of thinking about problems, especially international ones, that we literally ignore at our peril. History provides no automatic system of navigation for our leaders. Knowledge of history does not change politicians into statesmen. But ignorance of history is foolishness. The most dangerous form of ignorance is that smidgeon of shallow knowledge which lacks any understanding of the characters or context of past decisions. The false analogy can be more disastrous than the blank mind. But some understanding of how our predecessors wrestled with principles and problems painfully familiar to us may edge us, however slowly, to answers more adequate to our own generation. However, I would go further. Ignorance of history prevents us from understanding the present. To understand the nationalism of others, we need history. To understand why post-colonial societies are going through such difficulties, why civil war is the main form of conflict in today’s world, why other countries are suspicious of some of our liberal interventionism, we need history. To work with the grain of other societies when we intervene, we need history. And in all these matters we also need a better grasp of languages – something we are in danger of losing. But that’s another story, for another day. Winston Churchill, speech at Lord Mayor’s Banquet, London, 9 November 1951. ‘Britain’s Part in Efforts for World Peace’, The Times, London, 10 November 1951, p. 6. President Ronald Reagan, address to the UK parliament, 8 June 1982. ‘Start of a Crusade for Freedom and Democracy’, The Times, London, 9 June 1982, p. 4. Francis Fukuyama, ‘The End of History?’, The National Interest, Washington DC, Summer 1989, p. 3. Expanded in his The End of History and the Last Man (London: Hamish Hamilton, 1992). Rousseau, Du Contrat Social, ou Principes du Droit Politique (Amsterdam: Marc-Michel Rey, 1762), p. 2. English translation, paras. I.i.1, in Victor Gourevitch (ed. & trans. ), Rousseau: The Social Contract and other Later Political Writings (Cambridge: Cambridge University Press, 1997), p. 41. Pat Jalland, ‘Birrell, Augustine (1850–1933)’, Oxford Dictionary of National Biography, Oxford University Press, 2004; online edn, Oct. 2008. Letter of 21 October 1919, cited in Leon Ó Broin, The Chief Secretary: Augustine Birrell in Ireland (London: Chatto & Windus, 1969), p. 206. I am grateful to Howard Hotson, History Fellow of St Anne’s College, Oxford, for this point. http://www.historyguide.org/europe/munich.html. Source: Arthur Bryant (ed. ), In Search of Peace: Speeches (1937–1938) by Rt.Hon. Neville Chamberlain MP(London: The National Book Association and Hutchinson, ), p. 275. Andrew J. Crozier, ‘Chamberlain, (Arthur) Neville (1869–1940)’, Oxford Dictionary of National Biography, Oxford University Press, 2004; online edn, May 2011. As brilliantly analysed by Yuen Foong Khong in his book Analogies at War: Korea, Munich, Dien Bien Phu, and the Vietnam Decisions of 1965 (Princeton, New Jersey: Princeton University Press, 1992). President George Bush, ‘Toward a New World Order’, USDepartment of State Dispatch, 17 September 1990, 1:3, p. 91. General Bernard Montgomery said of US policy in Vietnam: ‘The US has broken the second rule of war. That is, don’t go fighting with your land army on the mainland of Asia. Rule One is don’t march on Moscow. I developed these two rules myself.’ Alun Chalfont, Montgomery of Alamein (London: Weidenfeld & Nicolson, ), p. 318. John Lewis Gaddis, Surprise, Security, and the American Experience (Cambridge, MA: Harvard University Press, 2004); and Walter Russell Mead, Power, Terror, Peace, and War: America’s Grand Strategy in a World at Risk (New York: Alfred A. Knopf, 2004). See also John Lewis Gaddis, ‘And Now This: Lessons from the Old Era for the New One’, in Strobe Talbott and Nayan Chanda (eds. ), The Age of Terror: America and the World After September 11 (Oxford: Perseus Press, 2001), pp. 1-22. Audrey Kurth Cronin, How Terrorism Ends: Understanding the Decline and Demise of Terrorist Campaigns (Princeton, New Jersey: Princeton University Press, 2009). David Loyn, Butcher and Bolt: Two Hundred Years of Foreign Engagement in Afghanistan (London: Hutchinson, 2008). Rodric Braithwaite, Afgantsy: The Russians in Afghanistan, 1979–89 (London: Profile Books, 2011). Bob Woodward, Plan of Attack (New York: Simon & Schuster, 2004), p. 324. Shareen Brysac, ‘Gertrude Bell and the Creation of Iraq’, in Wm. Roger Louis (ed. ), Ultimate Adventures with Britannia: Personalities, Politics and Culture in Britain (London: I.B. Tauris, 2009), pp. 283–97. William Hague, William Pitt the Younger (London: HarperCollins, 2004). William Hague, William Wilberforce: The Life of the Great Anti-Slave Trade Campaigner (London: Harper Press, 2007), p. xviii. For a useful outline and critique of the FCO’s official priorities, see House of Commons Foreign Affairs Committee, The Role of the FCO in UK Government, vol. I, Report (London, HMSO, May 2011), pp. 29–41. Available at http://www.publications.parliament.uk/pa/cm201012/cmselect/cmfaff/665/66502.htm. FCO website at http://www.fco.gov.uk/en/about-us/what-we-do/our-priorities/#, visited 7 June 2011. Tony Blair made both of these claims in his speech on ‘Doctrine of the International Community’, Chicago, 22 April 1999. Adam Roberts, ‘International Relations after the Cold War’, International Affairs, London, vol. 84, no. 2, March 2008, at pp. 336–8. History and Policy website, at http://www.historyandpolicy.org/index.html. Foreign Affairs Committee, The Role of the FCO in UK Government, vol. I, Report, p. 76. Douglas Hurd, Choose Your Weapons: The British Foreign Secretary: 200 Years of Argument, Success and Failure (London: Weidenfeld & Nicolson, 2010), p. xvii. The first half of this passage is cited on http://www.historyandpolicy.org/index.html.